Start with a tour of Harpers Ferry National Park where a visit is like stepping into the past. 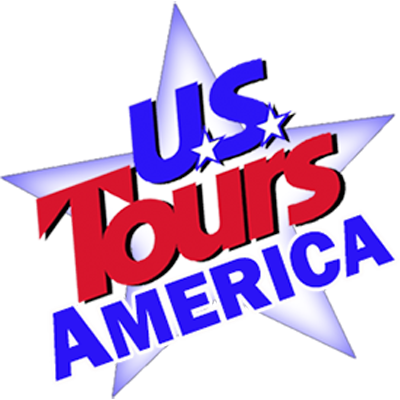 Then enjoy a narrated excursion on the Potomac Eagle and view historic farms and lush mountain greenery. Then it’s on to Winchester, VA for a Patsy Cline tour. Learn of Patsy’s music career, her childhood home and dreams of becoming a Country Music Star. This package also includes a tribute singer who will sing some of Patsy’s favorite songs. End your trip with a scenic ride on the Western Maryland Railroad through the spectacular scenery of the Allegheny Mountains. Day 1 – Harpers Ferry – Winchester, VA – Start with an afternoon tour of Harpers Ferry National Park. The history of Harpers Ferry has few parallels in the American Drama. It is more than one event, one date, or one individual. It is multi-layered – involving a diverse number of people and events that influenced the course of our nation’s history. Harpers Ferry witnessed the first successful application of interchangeable manufacture, the arrival of the first successful American railroad, John Brown’s attack on slavery, the largest surrender of Federal troops during the Civil War, and the education of former slaves in one of the earliest integrated schools in the United States. Then travel to Winchester VA and check into your local hotel for a two night stay. Dinner is included tonight at a local restaurant. Day 2 – Potomac Eagle – Patsy Cline – Today, you will take a ride on the Potomac Eagle Scenic Railroad. For three hours enjoy a narrated excursion through a tranquil and pristine mountain valley. View historic farms and lush mountain greenery. Around every curve you are rewarded with the splendor of native wildflowers, evergreens, and mixed hardwoods in an unspoiled countryside environment. Don’t be surprised to see bald eagles swooping overhead in pursuit of prey or gliding gently across the blue mountain skies as if to flaunt their supremacy of the air. Returning to Winchester this afternoon your group will stop at the Patsy Cline Visitors Center here you will be divided into two groups and one will explore the displays here in the Visitors Center and learn of Patsy’s music career, the other half will visit the Patsy Cline Historic House and learn about her childhood home and dreams of becoming a Country Music Star. Groups will alternate these two attractions. Next is a driving tour of Patsy’s Hometown, you’ll see Gaunt’s Drug Store where she worked as a teenager, the house where she married Charlie in 1957, her High School, her gravesite and more. Dinner tonight is at The George Washington Hotel, but tonight once dinner is over a tribute singer will join you and sing some of Patsy’s favorite songs. Day 3 – Western Maryland Railroad – This morning you drive to nearby Cumberland, MD. Here the Western Maryland Railroad Station shares space with Canal Place, an interpretive center for the C& O Canal. You will have an hour to walk the towpath, visit the replica canal boat and enjoy the displays before your departure. The Western Maryland RR climbs through the spectacular scenery of the Allegheny Mountains, an exciting mix of mountain scenery and rich transportation. One of the most entertaining parts of the trip, is the turntable that you will see working at the Frostburg Station. At Frostburg the half way point of the train ride, you break for lunch on own, then reboard your motorcoach for the drive home.